Whether it’s a stomachache, constipation or diarrhea, these problems have a lot to do with what goes on in your brain. Proton pump inhibitors such as Nexium and Prevacid raise health risks if you stay on them. Here’s how to stop the right way. Carolyn’s digestive woes started with antibiotics to treat her teenage acne. This natural detox finally stopped the bloating, gas and constipation. At last, a drug-free option for people with chronic constipation. What you need to know about this breakthrough vibrating capsule. TNF inhibitor drugs (Remicade, Humira) treat ulcerative colitis and Crohn’s disease but double the risk for psoriasis. Here’s why and what you can do. 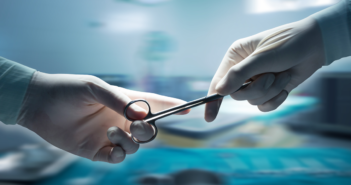 If you’re concerned about the side effects of GERD drugs, surgery is an alternative that might end your GERD misery. 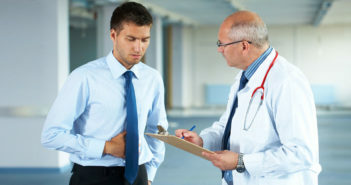 Is inflammatory bowel disease limiting your life? A new approach to care, centered around your needs, may be the answer. Chronic bloating, gassiness, constipation, fatigue and more were caused by bacterial overgrowth (SIBO). Here, the safe, natural protocol that cured it. Onions, coffee and other odorous foods aren’t the only cause of bad breath—it can also be a condition called maldigestion. Here’s how to fix it. 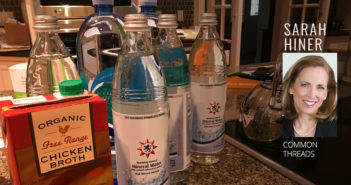 There is a not-so-horrible way to prep for a colonoscopy. Bottom Line Inc’s CEO Sarah Hiner shares her story and strategy. 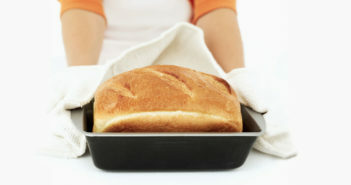 People with irritable bowel syndrome (IBS) can still enjoy wheat breads if they are baked the right way. Simple tips to beautify your home with flowers. These natural DIY remedies for occasional nausea, indigestion, constipation and diarrhea help you feel better fast. Besides other limitations of heartburn medications, they don’t help distressing belches. This drug-free approach can have you breathing easier. When Should I Take a Probiotic If I’m on Antibiotics? • Indigestion. If you’ve overeaten or consumed a high-fat, high-protein meal, the food could be rotting in your gut rather than being properly broken down for digestion. 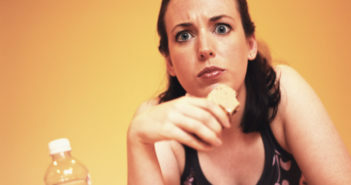 Red flags: You are gassy, bloated, burping and/or still feeling full hours after a meal. What helps: Try drinking tea made from herbs in the mint family—peppermint, spearmint, lemon balm and/or catnip. You can use just one of these herbs, combine all of them or look for a “tummy ache” mixture. Make a strong tea using two teaspoons of dried herb or two tea bags per 12 ounces of water. Drink six ounces every 15 minutes for an hour. • Constipation. 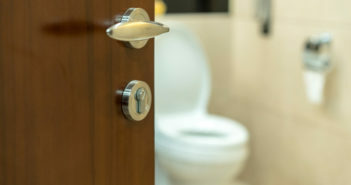 Medical doctors define constipation as having a bowel movement less than three times a week, but I believe this should be a daily event to help clear toxins from your body. 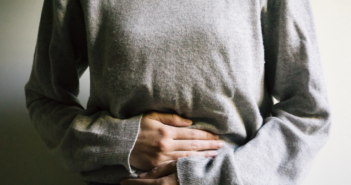 Red flags: You suffer from lower abdominal cramping…and/or have an urge to move your bowels but nothing happens. What helps: Smooth Move tea (made by Traditional Medicinals). It contains senna, a botanical laxative. It also contains the herbs licorice, ginger, fennel and cinnamon—all of which soothe the digestive tract. Usually one cup, taken on an empty stomach, is enough to relieve infrequent constipation. Bedtime is an ideal time for the tea if you usually have a morning bowel movement. Caution: Don’t use Smooth Move, or any senna product, if you know you have a bowel disease, such as Crohn’s or ulcerative colitis. Senna works by irritating the gut wall, which can worsen bowel disease. To be on the safe side, check with your doctor if you have any question about using senna. And do not use Smooth Move for more than two or three days—as with any laxative, you may become dependent on it. • Stomach virus. 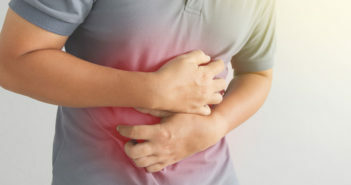 Even though a stomach virus can lead to diarrhea and vomiting, sometimes these symptoms are quite mild. The only signs could be a loose stool, lack of appetite and/or not feeling quite right for 24 hours. Red flags: Someone in your household or workplace has had the same thing…or you’ve recently spent time with small children, who are common carriers of these nasty viruses. What helps: Activated charcoal capsules appear to absorb viruses and move them out of your body. 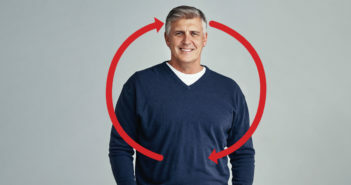 Take two charcoal capsules on an empty stomach four times a day for 24 or 48 hours. 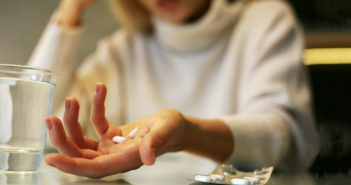 Check with your doctor first if you take any medications. • Worry or anxiety. Anticipating an event—whether it’s a happy occasion or something that has you feeling worried and anxious—makes digestion difficult. Red flag: You’ve just gone through an emotionally charged time…or you are about to enter one. What helps: Ten minutes of purposeful walking will relax you—and promote improved digestion. While you’re walking, breathe deeply so that air makes it all the way to your tight, tension-filled stomach. Listening to meditation or visualization podcasts can also be a big help! 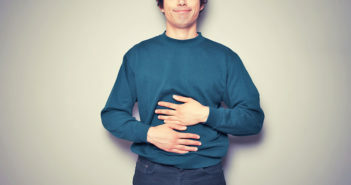 Important: If your bellyache lasts longer than a day or two—or if it becomes a regular occurrence—see your doctor to rule out bowel disease such as diverticulitis, gastritis or irritable bowel syndrome.